Do you have a garden or an area of your home that is kind of dull looking? Adding color with new flowers is one option, but there are other decorative elements you can add. A great idea is to use scrap pieces of metal and some paint to make custom garden trinkets. 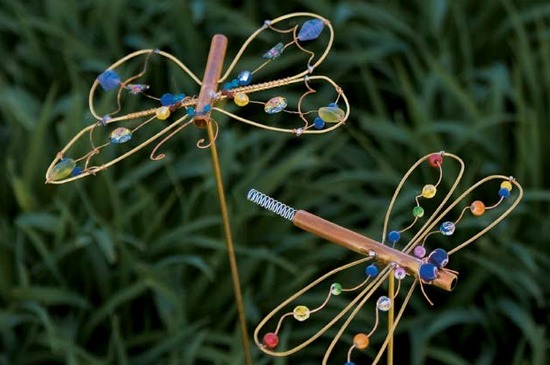 Your imagination and any materials you have on hand is all you need to make garden trinkets. You will have a lot of ideas to consider based on what you want to put in your garden. One thing that you might want to consider is making trinkets to have when a gift is needed. Look around your home to see if you have materials you can use to make garden trinkets. Trinkets you make can also give you a way to make money if you offer them for sale online. All you need to do is to come up with a few fun concepts.